And this week's new flavour is... (*drumroll*)... Salted Caramel & Hazelnut! Salted Caramel is one of our pretty-much-always-in-patisserie-case flavours, and we thought we'd try giving it a nutty twist. We are reeeaaaaallly happy with this one—it's a must-try. So... come try it!! :) It's now available at all Bon Macaron Patisseries. In the case of salted caramels, the influence came directly from France. Heavily salted butter caramels are a traditional treat in Brittany. More recently, Pierre Hermé, the Parisian pastry chef known for his experimentation, invented a salted caramel macaron that inspired a small cult among American food professionals in the late 1990s. We're very pleased to announce our 2016 Holiday Collection, featuring hand-painted traditional French macarons available in 6 exciting seasonal flavours: Mulled Wine, Rum & Eggnog, Mint Chocolate, Gingerbread, Cranberry, and Chocolate Orange, as well as candy cane flavoured Mini Snowman Macarons. Bon Macaron will also offer globe tree ornaments filled with mini seasonal macarons. Gift certificates for our popular Macaron Classes may be purchased, and make fantastic stocking stuffers! 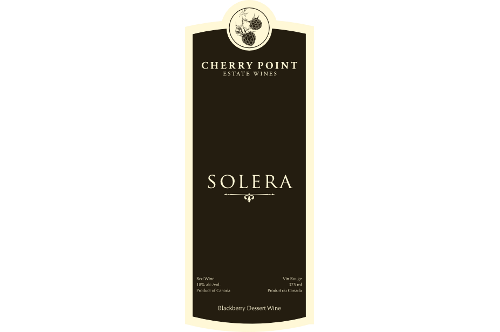 "Solera is produced by taking our Cowichan Blackberry Dessert Wine and gently applying the special Solera aging process, giving the wine time to age in barrels, making it elegant and smooth, combining delicate wood notes and rich mellow fruit." 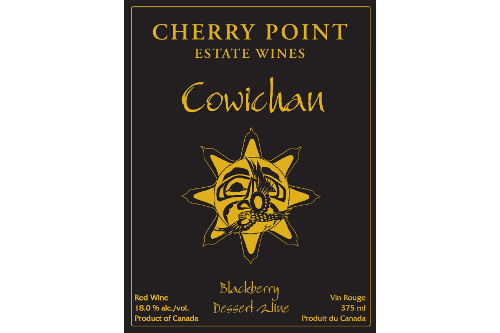 "This rich, sweet wine is produced from the luscious wild blackberries that abound in the estuary of the Cowichan River. This is an intense fruit wine, which reflects the warmth of the Cowichan summer. Enjoy it on its own or with a rich dessert." Cherry Point Vineyard Owner, Xavier Bonilla - Gorgeous photo from: http://mariskarichters.com Lots more on her site! Our Turkey Cranberry Macarons are back! These savoury macarons are made with cream cheese whipped with real turkey and cranberries. They're definitely a conversation starter and they look really nice on a festive table! They are also delicious. 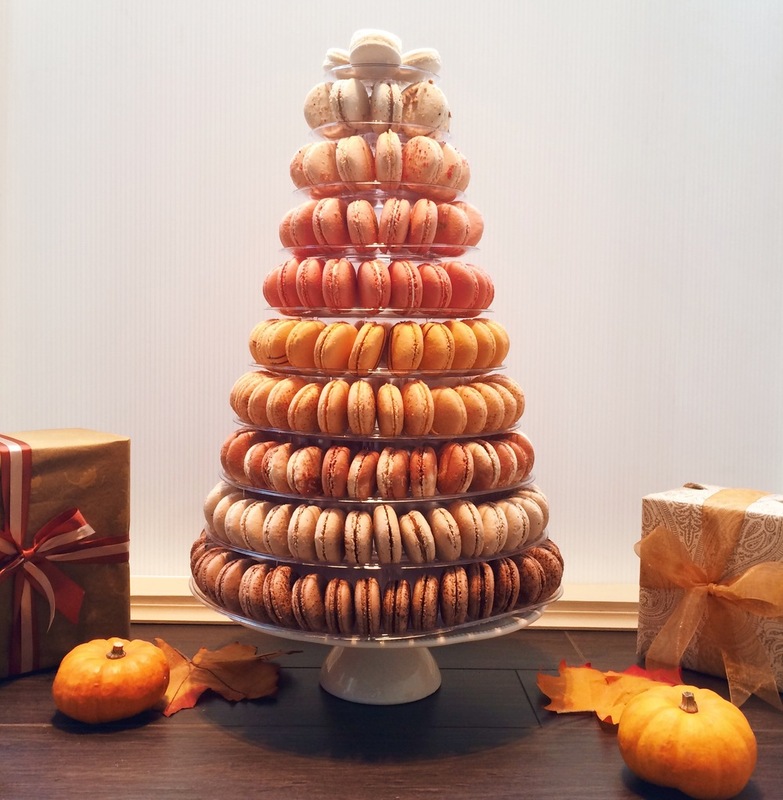 But for your less adventurous guests, we'd recommend rounding out the Thanksgiving macaron offerings with our Pumpkin Spice and Apple Cinnamon flavours. We hope everyone has a wonderful weekend! 1. Cinnamon comes from the bark of the cinnamon tree. 2. The cinnamon tree can grow up to 60 feet. 3. Cinnamon sticks are also called quills. 4. Ancient Egyptians used cinnamon medicinally and as a flavouring in food and beverages. 5. Cinnamon was used on funeral pyres in Ancient Rome. In 65 AD, Nero burned a year’s supply of cinnamon at his second wife Poppaea Sabina’s funeral in order to show the depth of his grief. 6. Cinnamon is a powerful antioxidant that aids in controlling blood sugar. 7. In the Middle Ages, cinnamon was only affordable by the wealthy elite of society. A person’s social rank could be determined by the number of spices they could afford. 8. Cinnamon compliments both sweet and salty dishes (and drinks). 9. And this last one is a doozy, but is pretty fun: There was an ancient belief in a Cinnamon Bird that supposedly lived in Arabia, and used cinnamon to build its nests. Herodotus wrote that these birds flew to an unknown land to collect the cinnamon and took it back with them to Arabia. The Arabians ostensibly got cinnamon from the birds by tempting them with large chunks of raw meat—the birds took the heavy pieces of meat back to their nests, which caused the nests to fall and the cinnamon to rain down so it could be collected by the people. Happy Friday! Our next flavour up is Rose & Lychee, handmade (always!) with Rosewater, Rose Preserves and Lychee Puree. These ones are a bit floral, a little tropical and, we think, really quite lovely! In the 1st century, fresh lychees were in such demand at the Imperial Court that a special courier service with fast horses would bring the fresh fruit from Guangdong. First, we learned that high end rum does not make a better rum and Coke. The nuances in expensive rums are often masked (and sometimes altered) by the Coke, rendering it useless. Also, bottom shelf always tastes like bottom shelf — it’s somewhere in between that had the best results. Second, we found that many rums add their own unique flavor notes, like coconut or vanilla, that made the rum and Coke a different drink entirely. And third, we learned that bottom shelf rum is giving rum and Cokes a terrible name. Find out which rums make the best rum and Coke, and give this classic drink another goFirst, we learned that high end rum does not make a better rum and Coke. The nuances in expensive rums are often masked (and sometimes altered) by the Coke, rendering it useless. Also, bottom shelf always tastes like bottom shelf — it’s somewhere in between that had the best results. Second, we found that many rums add their own unique flavor notes, like coconut or vanilla, that made the rum and Coke a different drink entirely. And third, we learned that bottom shelf rum is giving rum and Cokes a terrible name. Blueberry Cheesecake Macarons! These blue-eyed beauties feature real blueberries and sweet cream cheese. They are *quite* a bit lighter than actual cheesecake, much easier to eat with your hands, and every bit as delicious! Now, we do love actual cheese cake. And we particularly love New York Cheesecake, but France of course has its own incredible version, in the Tarte Au Fromage Blanc from the Alsace region of France. We found a fantastic classic recipe on The Happy Foodie blog, by Racheal Koo, as well as this one below that incorporates applesauce, from Martha Stewart. 1. Dough: Mix together flour, sugar, yeast, water, egg yolk, and salt in the bowl of a stand mixer fitted with the dough hook until a dough is formed, about 3 minutes. Add butter, and mix until incorporated, about 3 minutes (dough will be sticky). Transfer dough to a buttered bowl, cover with plastic wrap, and let rise at room temperature until almost doubled, about 1 hour. Punch down dough, cover, and let rise 30 minutes. Refrigerate dough, still in bowl and covered, until firm, about 2 hours. 2. Punch down dough. Roll out into a 12-inch round on a lightly floured surface. Fit dough into a buttered 9 1/2-by-2 1/2-inch fluted tart pan with a removable bottom, pressing dough up to rim of pan. Prick dough all over with a fork, cover loosely with plastic wrap, and let rise 30 minutes. 3. Filling: Preheat oven to 350 degrees with rack in lowest position. Whisk together 3/4 cup sugar and the flour. Whisk together farmer cheese, creme fraiche, egg yolk, salt, and vanilla; stir in sugar mixture, then butter, with a wooden spoon. 4. Beat egg whites with a mixer on medium speed until foamy. Raise speed to medium-high, and gradually sprinkle in remaining 1/4 cup sugar. Beat until medium glossy peaks form, about 4 minutes. Fold half the egg whites into cheese mixture to lighten, then fold in remaining egg whites. 5. Spread applesauce in crust, and pour filling on top of applesauce. Bake 30 minutes, then check crust; if it is starting to brown significantly, tent edge with foil. Bake until crust is deep golden brown and filling is puffed, golden, and just set (it should barely wobble when very lightly shaken), about 25 minutes. Let cool, undisturbed, on a wire rack 1 hour. Unmold tart, and let cool at least 30 minutes. Tart is best served slightly warm but can also be served at room temperature. We're kind of in love with our new flavour, Apricot Pistachio. First of all, a pistachio fact: remains of the Atlantic pistachio and pistachio seed, along with nut-cracking tools, have been discovered in the Middle East and dated by archaeologists to 78,000 years ago! The ones we use are somewhat more fresh. But one of our favourite things about macarons is how infinitely versatile they are, for such small, simple things. Not only are there endless flavour possibilities, but there's so much you can do with colour and decoration. We obviously went the marbling route with our Pistachio Apricot macarons, and we are really happy with the results. Marbling techniques might not be as old as pistachios, but they do date back over a 1000 years! It's THAT time of year. The celebrations are over, the days are still short, dark and cold... We thought maybe you could use something to both cheer and warm you up! Sooo we came up with Blood Orange & Chili Macarons. These really are hot-blooded little morsels—they combine a sweet, juiciness with some real heat! We hope you have a warm and cozy weekend. ’Tis the season to celebrate, so our latest macaron flavour is Champagne! Nothing quite beats bubbly for making any moment a special occasion. And for the quieter evenings, we'd like to recommend a recent Netflix pick: A Year in Champagne . Any oenophile (or, really, anyone who enjoys a bit of fizz) will find this documentary facsinating. True to its name, it covers a year in the renowned Champagne region of France, following a range of producers, from Bollinger to tiny ancestral vineyards. And regardless of whether you're toasting with friends, or curled up with Netflix, our champers-flavoured macarons will be a perfect accompaniment! We thought you could use something extra pretty to keep your spirits up on this classically cloud-filled West Coast weekend. So… our latest flavour is Peach Cardamom. We took the sweet juiciness of peach and delicately laced it with earthy, comforting cardamom. There are apparently references to cardamom in the Spice Tablets found in the House of Sphinxes in Mycenae, and it currently happens to be the most expensive spice in the world after saffron and vanilla, so these truly are little bites of luxury ;) Also, the family of plants that cardamom seeds belong to (Elettaria and Amomum) have such lovely flowers—pink, like these macarons!